We are seeking for 2 exceptional and passionate full-time Early Stage Researchers - Ph.D. students to be involved in the project PhilHumans, an interdisciplinary training program for young researchers. The PhilHumans project has received funding from the European Union’s Horizon 2020 research & innovation programme under the Marie Sklodowska-Curie – ITN Industrial Doctorate. The goal of the PhilHumans project is to train a next generation of young researchers in innovative Artificial Intelligence (AI) and establish user interaction with their personal health devices in an advanced and intuitive way. The project will explore cutting-edge research topics related to AI-supported human-machine interfaces for personal health services. Early Stage Researchers - Ph.D. students will be jointly supervised by researchers at the University of Catania (Sicily, IT) and at Philips Research Eindhoven (The Netherlands). Basic gross amount is about 3k€ per month + mobility + family allowance. Application will be open on January 2019 (deadline 1 march 2019 – 17.00 CET). All the information for the information on how to apply are reported on the official website of the project. We are seeking for an exceptional and passionate full-time Ph.D. student to start a new project on "Understanding Video Endoscopyn", jointly supervised by the University of Catania (Sicily, IT) and at the AI Department of LinkVerse s.r.l. (Rome, IT). The main aim of this Ph.D. programme is the design and development of an innovative System for understanding endoscopic videos. Attention will be taken in the development of a solution able to work in real domain and data. The student will face innovative and intriguing theoretical and practical issues, while spending part of his time at Image Processing Laboratory of University of Catania and part at LinkVerse AI Department. The student will have the possibility to work in a friendly and constructive environment and will have the possibility to attend at the major conferences and schools in the field to present the results of his/her research. Equal opportunities to all applicants will be provided. Any expertise or prior knowledge in computer vision, machine learning and image processing is welcome. Prior publication at international conferences is an advantage. Ability to program in Python is desirable. Other programming languages, communication skills and team play will also be welcome. Application procedure will be formally opened at the end of July 2018. The PhD programme will start in Oct-Nov 2018. More information will be given here in July. We are seeking for an exceptional and passionate full-time Ph.D. student to start a new project on "Active Vision for Robot Localization", jointly supervised by the University of Catania (Sicily, IT) and at the R&D Center of OrangeDev (Misterbianco/Firenze, IT). The main aim of this Ph.D. programme is the design and development of an innovative System for robot localization from active vision. Attention will be taken in the development of a solution able to work in embedded system. The student will face innovative and intriguing theoretical and practical issues, while spending part of his time at Image Processing Laboratory of University of Catania and part at OrangeDev R&D. We are seeking for an exceptional and passionate full-time Ph.D. student to start a new project on "Deep Learning for Visual Localization", jointly supervised by the University of Catania (Sicily, IT) and at the R&D Center of XENIA-DWORD (Italy, IT). The main aim of this Ph.D. programme is the design and development of an innovative Visual Localization System based on Deep Learning technology and Egocentric Imaging Sesors (Wearable/Mobile). Attention will be taken in the development of a solution able to work in embedded systems. The solution will be designed and developed by keeping in mind both indoor and outdoor environments. The student will face innovative and intriguing theoretical and practical issues, while spending part of his time at Image Processing Laboratory of University of Catania and part at XENIA-DWORD R&D. The Image Processing Laboratory (IPLab) is part of the department of Mathematics and Computer Science of the University of Catania, Italy. IPLAB’s research focuses in the areas of Image Processing, Computer Vision, Machine Learning and Computer Graphics. IPLAB has been involved in different international projects for the development of advanced algorithms with applications in different domains: Embedded and wearable devices, assistive technologies, quality of life, forensics, medical, cultural heritage. Equal opportunities to all applicants will be provided. Any expertise or prior knowledge in computer vision, machine learning and image processing is welcome. Prior publication at international conferences is an advantage. Ability to program in Matlab/Python/C/C++ is desirable. Other programming languages, communication skills and team play will also be welcome. Application procedure will be formally opened at the end of July 2017. The PhD programme will start in Oct-Nov 2017. Are you interested? Do you want to have more information? Please, send by email your questions including your CV, a cover letter, the publication list and contact details of 2 referees. 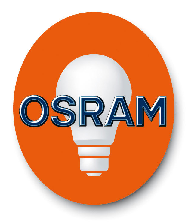 We are seeking for an exceptional and passionate full-time Ph.D. student to start a new project on Ambient Assisted Living with focus on Fall Detection, jointly supervised by the University of Catania (Sicily, IT) and at the R&D Centers in OSRAM (Munich, DE). The main aim of this Ph.D. programme is the design and development of a low-cost and noninvasive Fall Detection System based on visual data acquired with fish-eye cameras mounted on the roof of a room (e.g., in a roof-lamp). Attention will be taken in the development of a solution able to work in embedded systems with weak supervision for training (offline) and/or automatic training after the installation (online). The Fall Detection solution will be designed and developed by keeping in mind indoor environments such as Homes, Hospital Rooms and Nursing Homes & Clinics. The student will face innovative and intriguing theoretical and practical issues, while spending part of his time at Image Processing Laboratory of University of Catania and part at OSRAM R&D. Application procedure will be formally opened on min July 2016. The PhD programme will start in Oct-Nov 2016. We are seeking for an exceptional and passionate full-time Ph.D. student to work on the project “Learning architectures for Multimedia representation and understanding”, jointly supervised by the University of Catania (Sicily, IT) and at the R&D Centers in STMicroelectronics (Catania, IT). The aim of this Ph.D. programme is to use data coming from different domains (images, video/temporal/motion, GPS, audio signals, tags, wearable sensors, etc.) to build a powerful representation, possibly extending the current CNN to treat the different signal jointly and in a semi-supervised way (i.e., with no need of huge datasets to perform training for personalized use). The application contexts will consider emerging scenarios, such as activity monitoring and assistive technologies to improving health and wellness of human beings and quality of life in general. 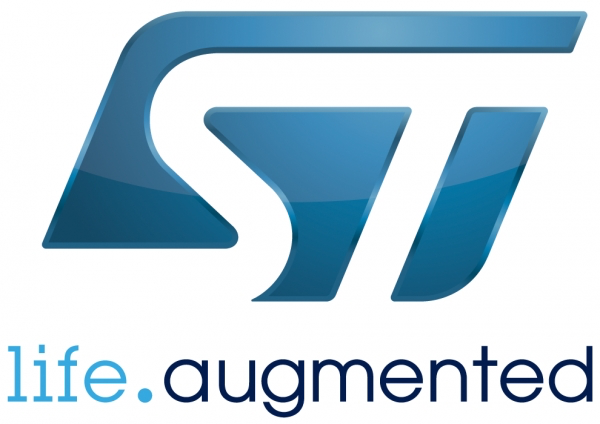 The student will face innovative and intriguing theoretical and practical issues, while spending part of his time at Image Processing Laboratory of University of Catania and part at STMicroelectronics R&D. Application procedure will be formally opened on mid July 2016. The PhD programme will start in Oct-Nov 2016.